Unless you are rich and famous you probably dread your finances on a daily basis. It is nothing to be ashamed of. We all hate looking at our balances every month and see that the amount of expenses that we have are more than the amount of money that is being brought in. This can be very frustrating! However there are tips to help you manage your money and make your personal finances look more inviting. Just because you have an idea of what you want to do it does not really count until it is written on paper and you are actually following it. There are two main ideas that you should incorporate into your financial plan in order to be successful. First you should know what you long term goal is and second you need to know what you are going to do to get to that goal. You should have all of your ideas written into your plan such as retirement planning, holiday purchases, an emergency fund as well as any other savings you wish to include. Once this step has been completed you will want to set a time frame to have these accomplished by. Do not worry it will be okay if you do not meet this time frame goal. It is important to know that you have more money coming into your accounts than going out. 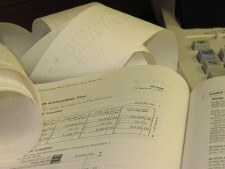 Therefore you need to be sure that you watch your expenses. It might be necessary to cut out your morning cup of coffee from the coffee shop when on your way to work or you might have to take your lunch to work rather than eat out. Of course there are other ways to cut expenses as well. Another idea to get more money coming into your household is to get a part time job. When spending money it is important to know that the wise person will spend cash rather than put it on credit. This will help keep this amount of credit card debt down and will allow you to continue to pay off your credit card balances quicker. The old rule of if you do not have the cash to pay for the item do not purchase it is a good rule to live by. Having an emergency fund is something that everyone should have at all times especially if you have a home or an automobile. At anytime something could go wrong with something and then you are stuck with an unexpected expenses and no way to pay for it. This will make the amount of credit you have increase and will take longer to reach your goals that you have set for yourself. READ: What Is An Emergency Fund? One should remember that having a goal and a plan for their finances is a long and tedious task. The plans will always need to be updated depending on what life throws at you. As long as you are able to stand by your budget and do not spend more than what you make you should be able to manage your finances much better than before.